People generally compare the person with bat or owl who recognizes the things and persons in dark because bats and owls can see in the dark. Bats are different in eating food and we know that bats are mammals and they give birth to the babies without laying eggs. Bats have ears and teeth and bat is only the animal which can fly among the mammals. There are more than 2000 types of bats and they are spread all over the earth. 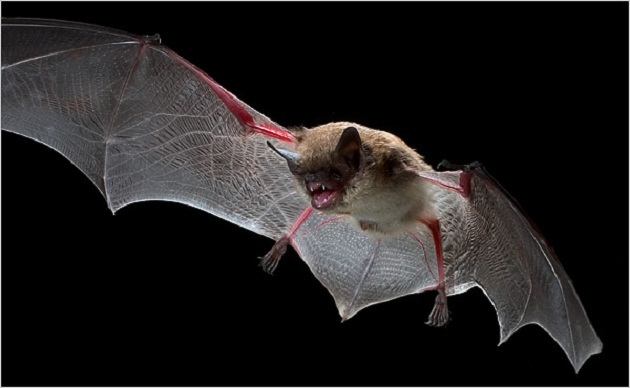 Scientists did not understand the reason how bats are able to recognize the food in the dark. They had tied the eyes of the bats and left them into a room which is filled with wires. Scientists have observed that bats easily flew without hitting the wall or wire. Scientist also observed that it was difficult for the bats to fly when their ears are covered and eyes are open. At this time, they had hit the wall and wires and many bats had fallen down. Scientists had recognized that waves are released from bat’s mouth and any object hits the waves, it gets reflected and the sound is audible to the sensitive ears of the bat. With the help of the reflections, bats can easily recognize the area and size of the objects and it can escape from them. It recognizes the things which are suitable for eating with the help of its eyes.